Johannesburg – The Banking Association of South Africa (BASA) has reacted to Saturday's announcement on fee-free tertiary education with suspicion, saying that the "unaffordable, populist" move lacks substance. President Jacob Zuma unexpectedly announced that free tertiary education would be made available to working class and poor students, just before the beginning of the ANC's elective conference at Nasrec, Johannesburg, on Saturday, where a new ANC leader will be elected. The Heher Commission, which looked into the feasibility of fee-free education, had previously found that there was currently no capacity for the state to provide free tertiary education to all students. Protests broke out on various university campuses before the release of Heher's report, with students calling on Zuma to share the recommendations. Saturday's move by Zuma has received a mixed reception. BASA has called the move "vague", as it does not provide proper implementation strategies or funding sources, adding that the sudden move "amounts to nothing less than a further empty promise and another failed delivery". It also said that political will was lacking on delivering on the promise, questioning how the funds would be raised, how much borrowing would be required, and which vanity projects would be ditched to finance the new policy. "While embracing the idea of supporting the poor, we must ask what will this do to South Africa’s budget deficit and overall debt burden announced by the Minister of Finance two months ago," read the statement. BASA argued that the impact of the decision on the fiscus required the president to present the decision to Parilament's Standing Committee on Finance, and table it before the National Assembly, before its adoption. "The president clearly lacks any understanding of South Africa’s economic predicament. Given the lack of economic growth, a growing fiscal deficit, ongoing falls in tax revenues and increasing demands on the fiscus from other pressing social needs, it is not clear how promises will turn into action. We call for the president to make these plans available for public scrutiny," the statement reads. 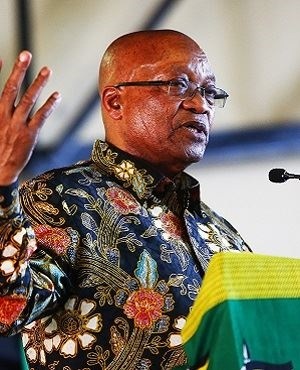 BASA challenged Zuma to add more detail to his plan, saying that a failure to do so would "amount to nothing more than painting his successors into a corner and an attempt to manipulate popular opinion in the process". Meanwhile, the select parliamentary committee has welcomed the decision, saying in a statement that it is a step in the right direction in resolving the fees issues and addressing skills shortage needs. "The committee has always held the view that academic exclusion of the poor, purely on the basis of affordability, undercut South Africa’s democratic dispensation. This response is a step in the right direction to remedying the high levels of inequality in the country," reads their statement. The committee said that it would engage with the Department of Higher Education and Training early in 2018 over the finer details, in order to support the roll-out.